Since Coach Kenny Caesar is no longer at Mater Dei the school has searched for the perfect candidate to fill his shoes as the 2018-2019 Athletic Director. Those shoes have now been filled by Coach Jared Izidoro. Izidoro has a history in sports. He played football at St. Augustine and then continued to play at Whittier College. He has been an educator since 2010 and has been at Mater Dei as a coach since 2010. 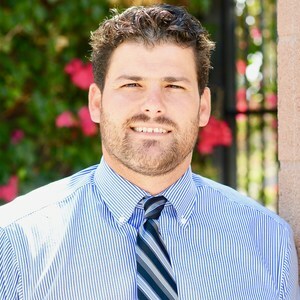 He joined the Crusader teaching team in 2014. As an Athletic Director, there are new responsibilities that will be added to Izidoro’s plate like coordinating the overall athletic budget, team practices, games and more. However, he is confident that he will handle them well. His many years of being around different sports teams in different capacities should be an asset to becoming the new Atheltic Director.